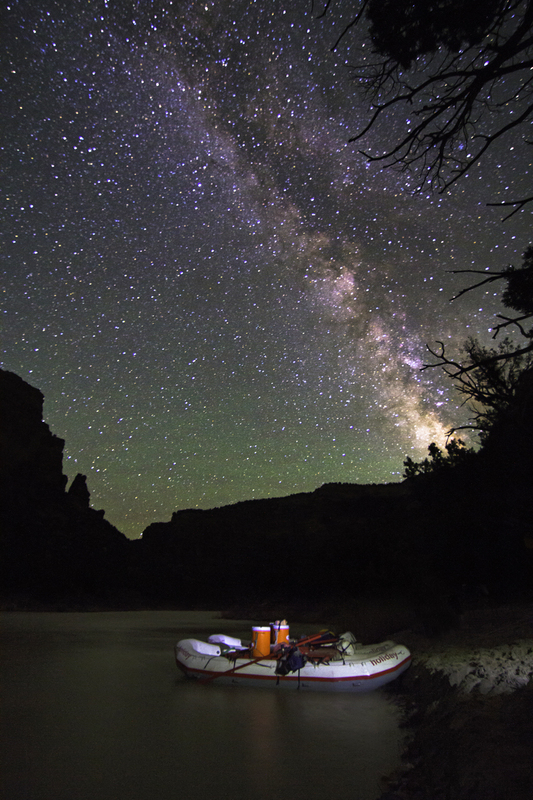 Born in 1966 out of a love for wilderness, adventure and the rush that comes from running whitewater, Holiday River Expeditions (https://www.bikeraft.com/) was one of the early pioneers that helped forge today’s rafting industry. A half century of fun later, they keep coming up with new twists on how to enjoy the solitude of nature and camaraderie of friends while vacationing on a wild river. This season the company has focused on the young but rapidly growing sport of Stand-up Paddle Boarding, otherwise known as SUP. This is the art of staying upright while balanced on a buoyant but narrow long board and paddling it over the water. Toss in Class II-III rapids and the challenge is obvious. Experienced guides help speed the learning curve but rest assured, there will be giggles and spills aplenty, especially when it’s women-only on one of Holiday River’s three planned SUP departures.These are scheduled for late summer on the Colorado River through Ruby and Westwater canyons along the Colorado-Utah border. Departure dates for the four-day trips are Aug. 29, Sept. 15 (women’s SUP retreat) and Sept. 29. The per person rate is $795. 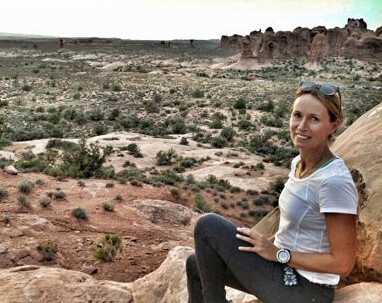 The rate for the women’s retreat is $1010, with Melanie Webb of Sol Fitness Adventures instructing. 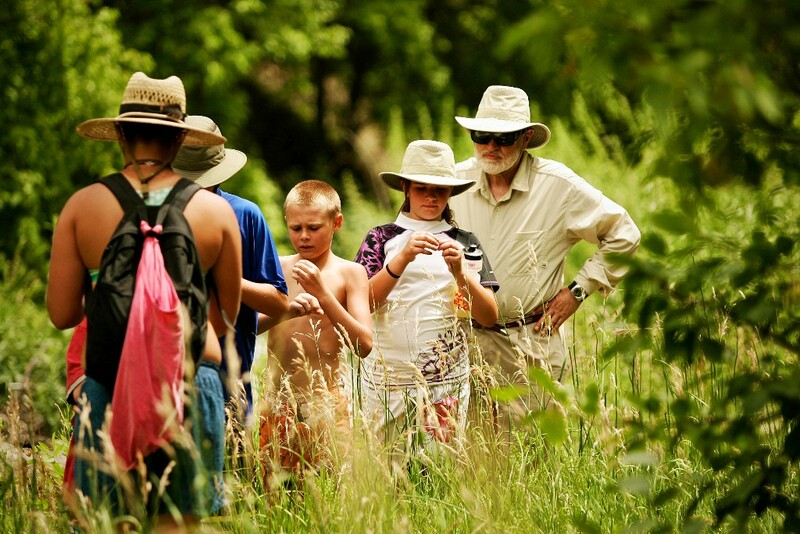 Trips are suitable for age eight and up (age 13 on the women’s retreat). Some equipment is provided; camping necessities can be rented. Guides prepare hearty and nutritious riverside meals along the way. 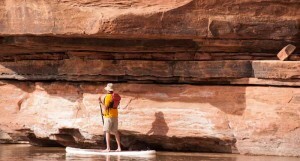 “Everything about the Ruby Canyon stretch of the Colorado River makes it ideal for learning to stand-up paddle. Long stretches of flat water and slow flows, sunny days, fully supported with rafting guides, inflatable kayaks and oar boats to take a break or switch things up. 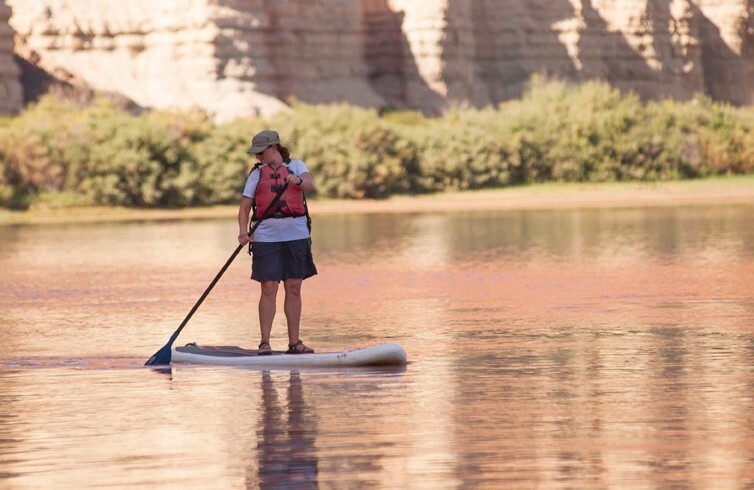 More experienced paddlers will love the workout you get from paddling 36 out of 42 miles,” said Melanie Webb, SUP Instructor and founder of Sol Fitness Adventures.